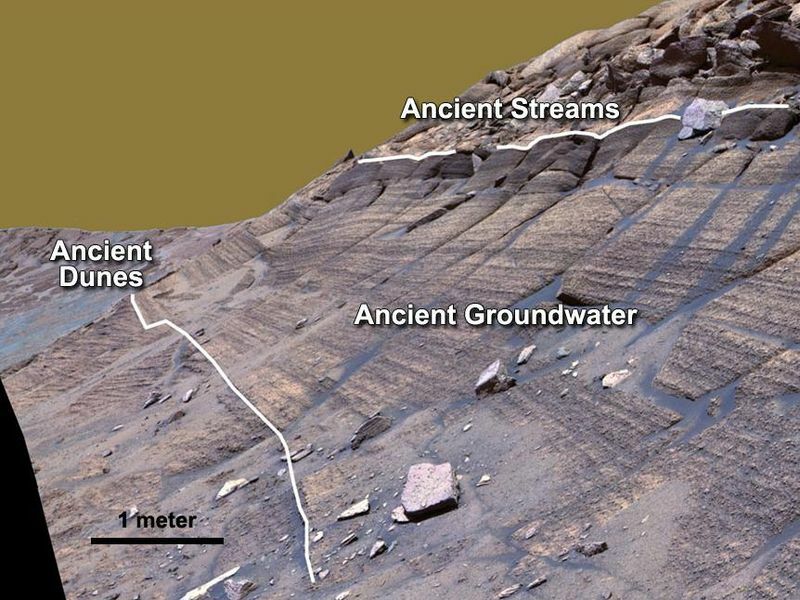 NASA's Mars Exploration Rover Opportunity studied layers in the Burns Cliff slope of Endurance Crater in 2004. 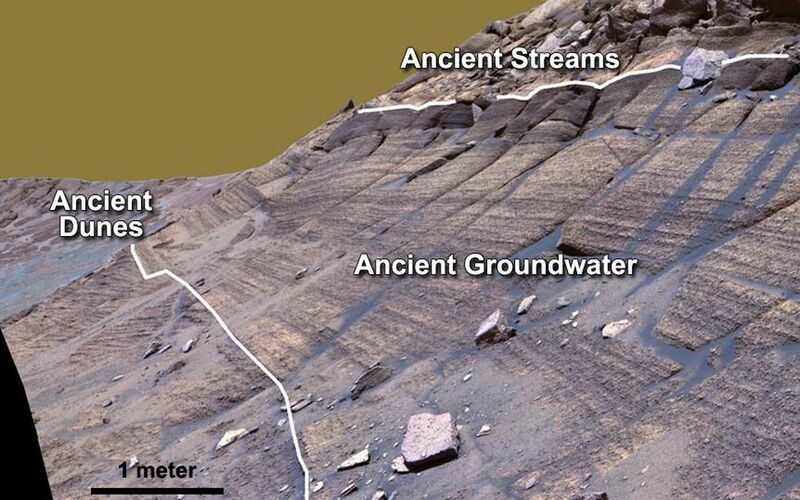 The layers show different types of deposition of sulfate-rich sediments. 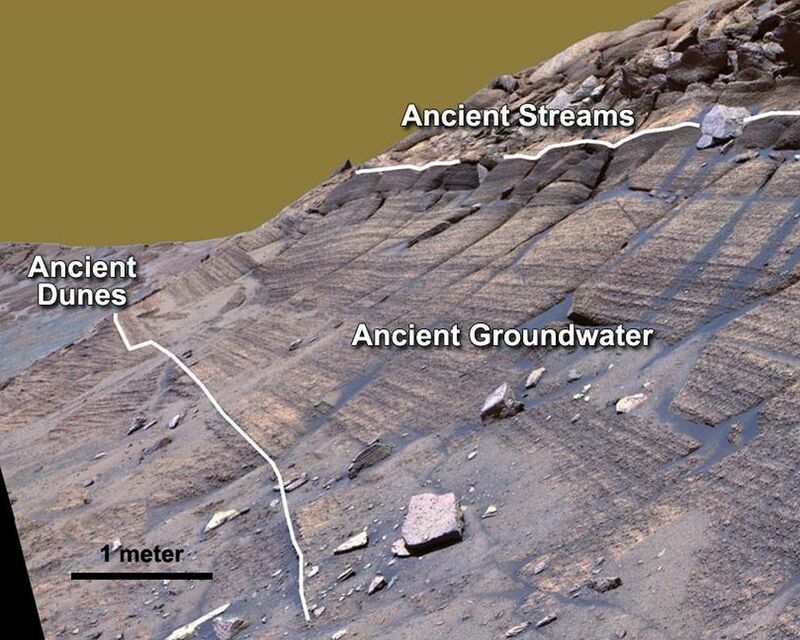 Opportunity's panoramic camera recorded this image.